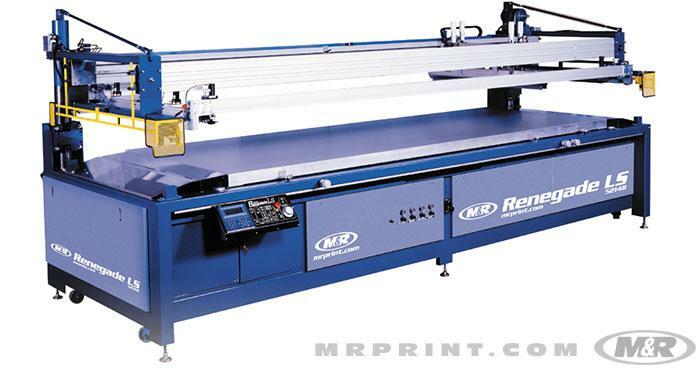 M&R makes the world’s finest semi-automatic flatbed graphics screen printing presses. 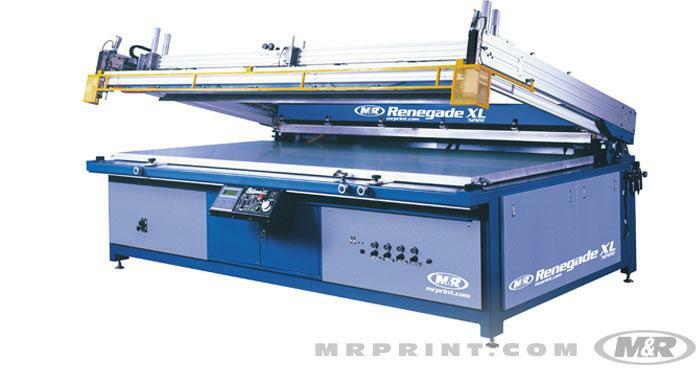 With three Renegade models and Saturn Platinum II, there’s a size and feature set for virtually every flatbed graphic press operation. 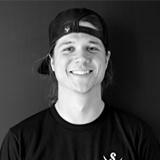 Image areas range from 38 x 66 cm (15" x 26") to a phenomenal 157 x 376 cm (62” x 148”). 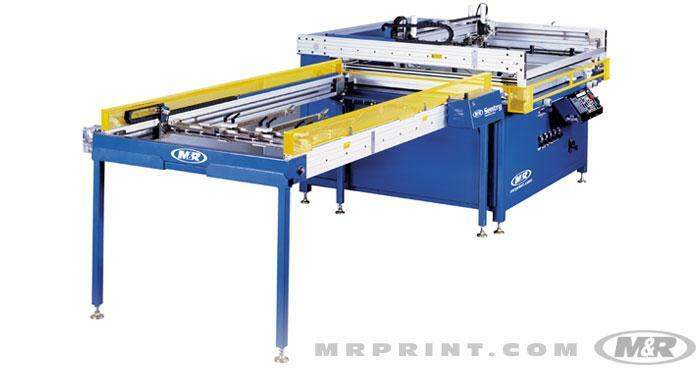 M&R’s semi-automatic flatbed graphics screen printing presses are without peer when it comes to precision printing and long press life. No wonder they’re the choice of professional screen printers. Saturn Platinum II™ sets the standard for compact flatbed graphic presses, delivering absolute precision and exceptional results whether screen printing on circuit boards, nameplates, panels, backlit graphics, flexible membrane switches, glass, or ceramics, and it excels on four-color halftone screen printing. 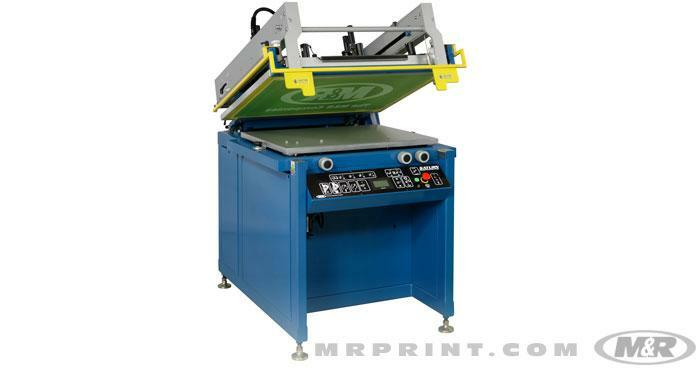 When it comes to professional graphic screen printing equipment, Saturn Platinum II is the ultimate combination of speed, efficiency, flexibility, and print quality in a small-format flatbed graphic press. 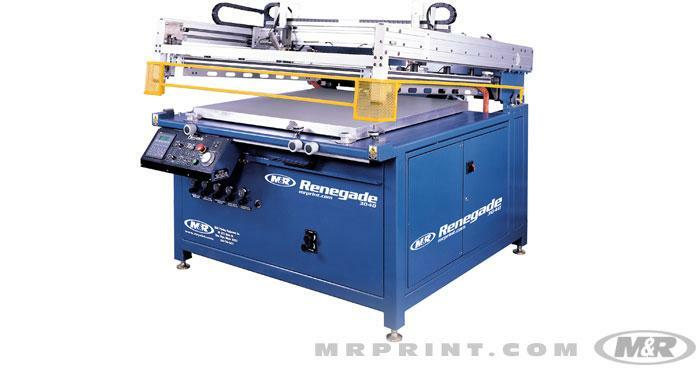 Designed for high line-count four-color process printing, Renegades produce exceptional results by allowing pressure to be focused on the image area. With two independently controlled center cylinders ensuring uniform pressure across the length of the squeegee, Renegade XL™ produces prints of unsurpassed quality. Renegade LS™ delivers superb print quality on virtually all substrates, including posters, banners, vinyl, fleet-marking, glass, metal, and display panels. Sentry™, M&R’s fully adjustable gripper-style takeoff, is compatible with all M&R takeoff-ready flatbed graphic presses and adapts to virtually any substrate.